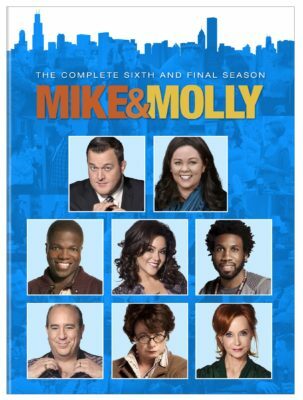 Last season, Mike & Molly ended its run after six seasons on CBS. If you missed the final 13 episodes on television, you can try to win one of three copies on DVD. During season six of Mike & Molly, Molly continues to work as a published author, but her determined pursuit of a career in writing is also creating difficulties in her relationship with Mike. And there’s no relief for Mike either, with his in-laws living under the same roof at home and his best friend and fellow Chicago PD Officer partner Carl McMillan at work, Mike’s got his own world of drama to deal with. But at the end of the day, Mike and Molly have each other. And when it comes to couplehood, no matter what life throws in their way, these two wrote the book!